Death is something we have no control over; it can strike at any time and it leaves behind grief and sorrow. When we are dealing with the loss of a loved one, we know that while we are sad, we don’t have the luxury to attend to that feeling. There are a number of things that have to be taken care of such as informing family and friends etc. Very importantly, you would have to start thinking about where you are going to have the funeral service; this is a decision that can’t be deferred. It’s when you start looking for funeral homes. 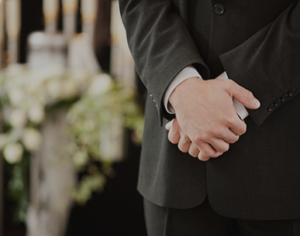 If you are on a modest budget you may just find that it’s very difficult to find a provider that will be able to offer cheap funerals in Wollongong. The ones that do may not provide all the services you need or they may provide substandard services. We at Heavens Own like to do things differently. We provide all types of services and cater to customers that are working on a tight budget too; we never cut corners or provide low quality services. Heavens Own has been operating in this space for a very long time and knows exactly how a service has to be planned. We cater to customers from different religions and cultures and ensure that the entire service takes place just the way you want it to be. In fact we know that you are going through a very challenging phase and do everything we can to ensure that you aren’t stressed about the arrangements and that everything progresses in a smooth and seamless manner. You will find that every single staff member that interacts with you focuses on providing the best service in the most cordial way. There are times when we have customers that aren’t too sure about how all the arrangements have to be handled. If this is the case with you, our funeral director will work very closely to understand exactly what kind of a service and arrangements you need- he will then provide you with the best solutions and direction about how things should progress. We are the experts that go the extra mile to provide customers cheap funerals in Wollongong. If you want to know more about our services, you can contact us using this Web Form. On the other hand if you prefer to speak with us- you can call the Heavens Own funeral experts at this number- 02 9002 7344 and explain your requirement in detail.